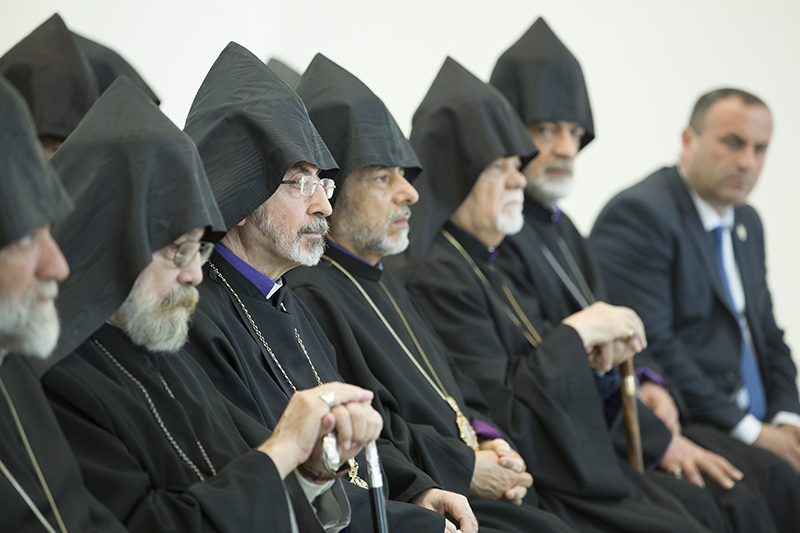 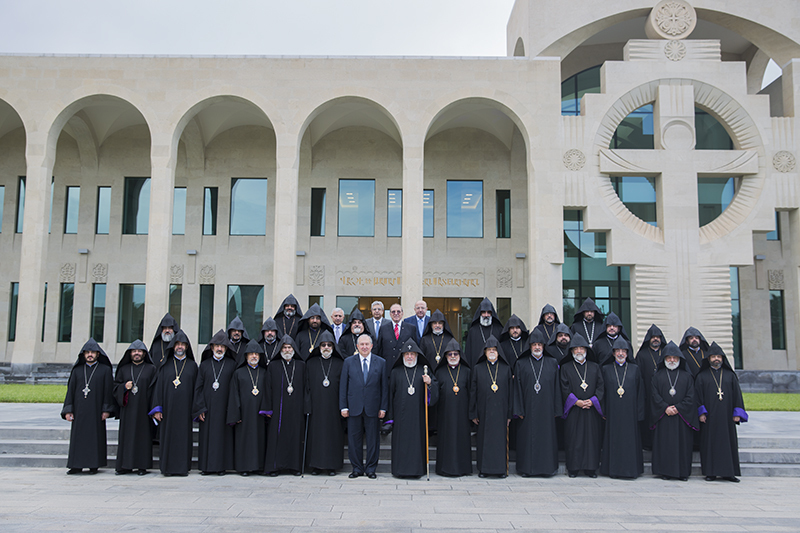 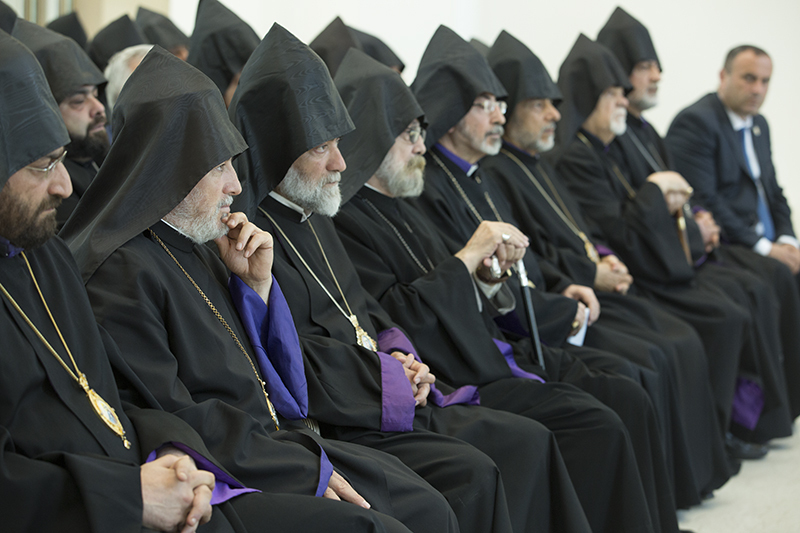 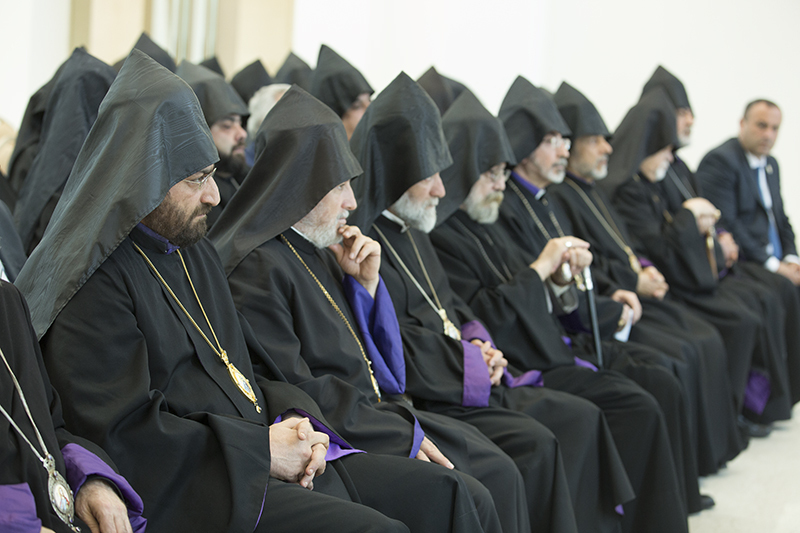 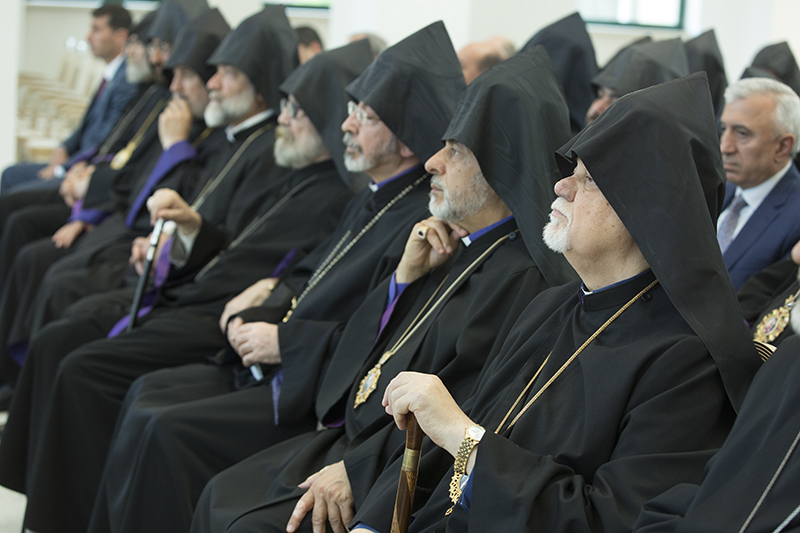 President Armen Sarkissian visited today Mother See of Holy Etchmiadzin and participated as the Guest of Honor at the annual meeting of the Supreme Spiritual Council and Bishops’ Assembly. 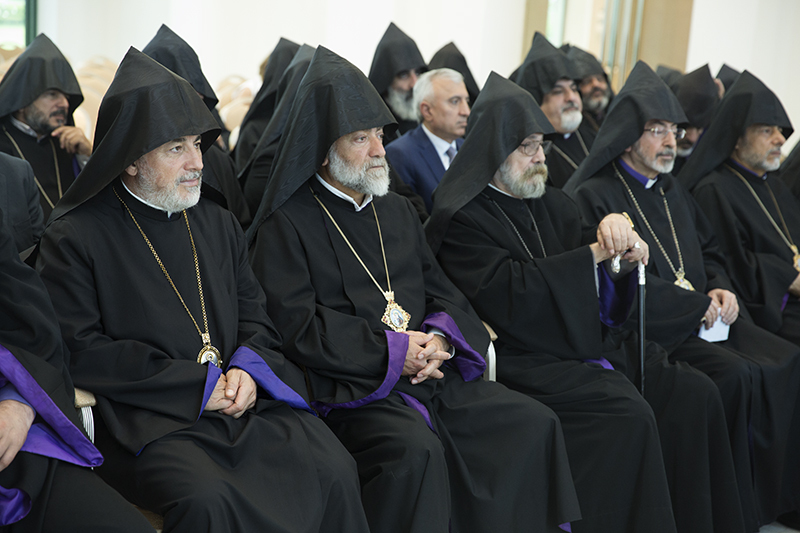 Welcoming the President of Armenia, Supreme Patriarch and Catholicos of All Armenians His Holiness Garegin II in his remarks praised Armen Sarkissian’s devotion to and support of the Holy Armenian Apostolic Church. 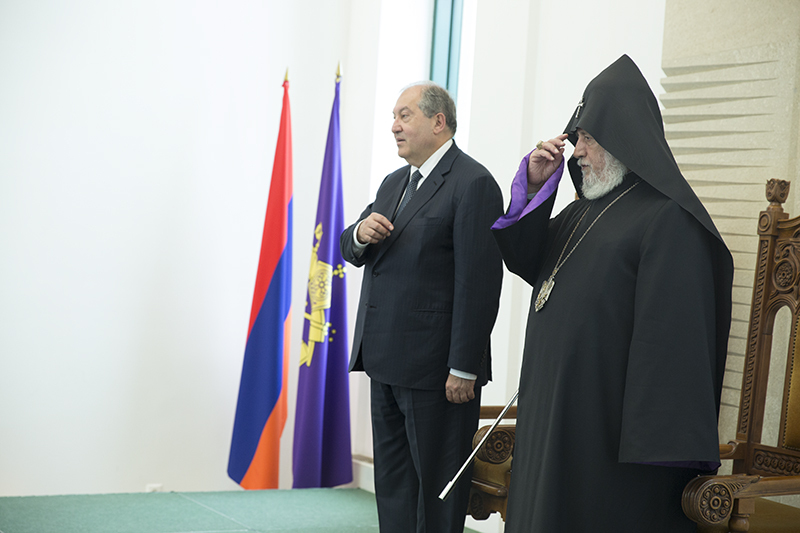 The Supreme Patriarch also hailed the President’s role in the peaceful resolution of the standoff in Armenia. 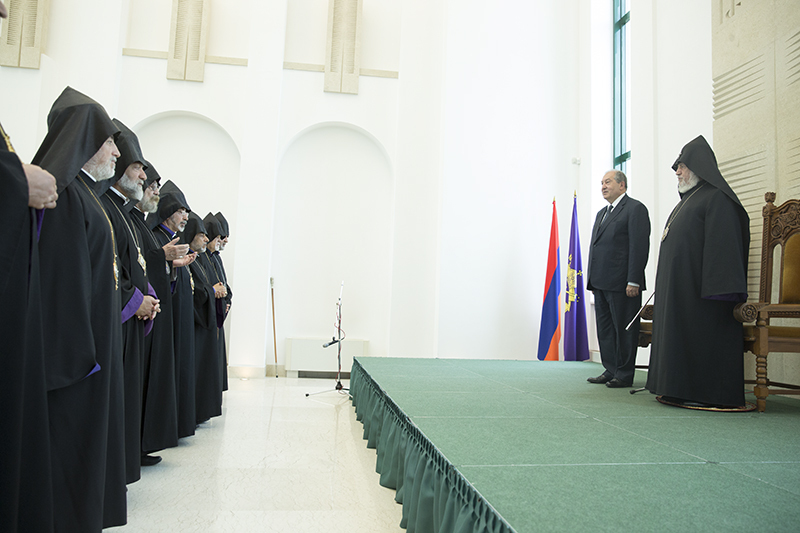 President Sarkissian expressed gratitude for the invitation and assessed as vital the role of the Armenian Church at different stages of the millennia-long Armenian history, particularly, during the last centuries-long absence of statehood when the Church ensured unity of our people, preserved our identity, traditions, and culture. 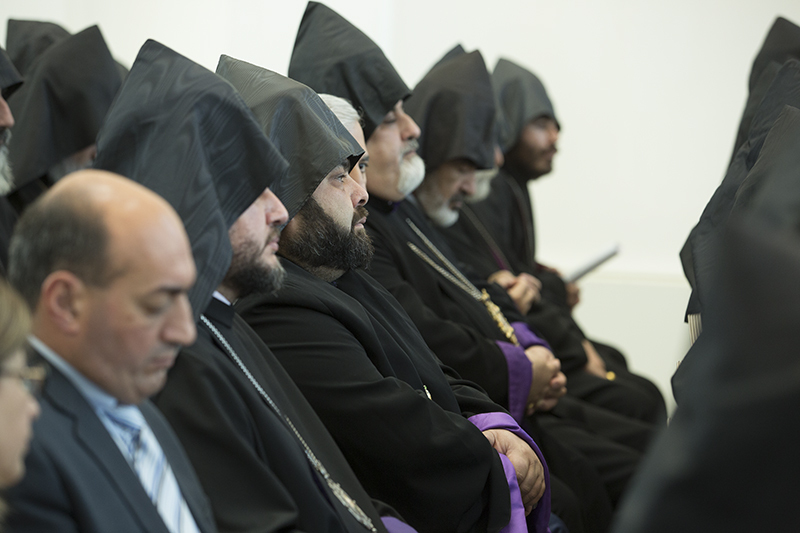 Speaking about the recent political developments, Armen Sarkissian once again underscored that the change of power in Armenia took place in a peaceful and civilized manner. 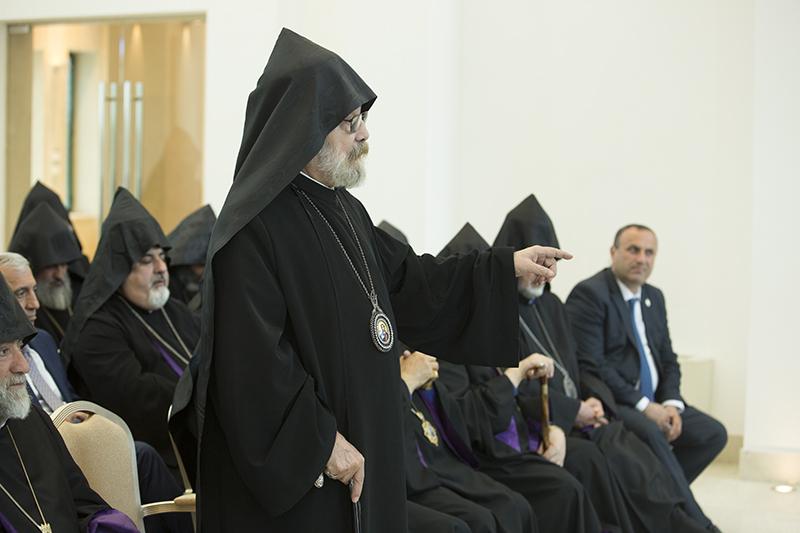 According to the President, the ensuing changes will take some time; a lot of work to be done so that our citizens, sons and daughters of our nation, irrespective of the place of their residence, bring their dedication to Fatherland. 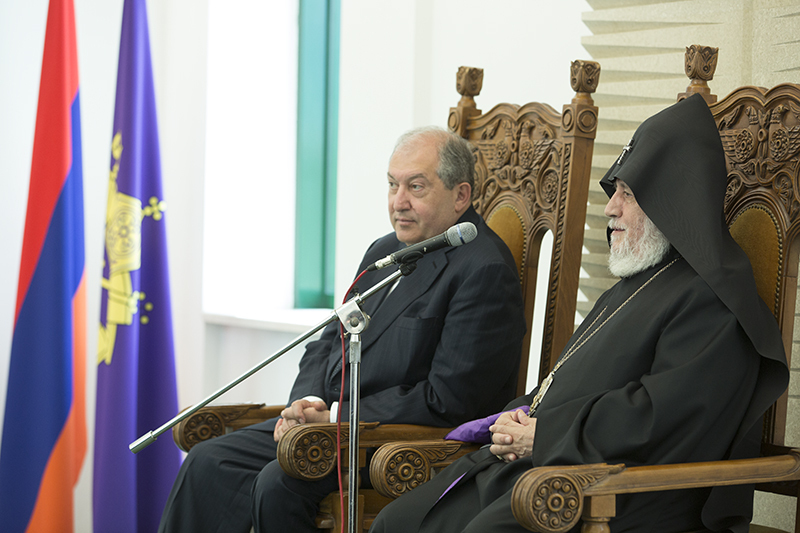 President Sarkissian stressed, in particular, the importance of the fight against corruption, elimination of polarization, establishment of social justice, issues related to the efficient administration in the area of education and state apparatus. 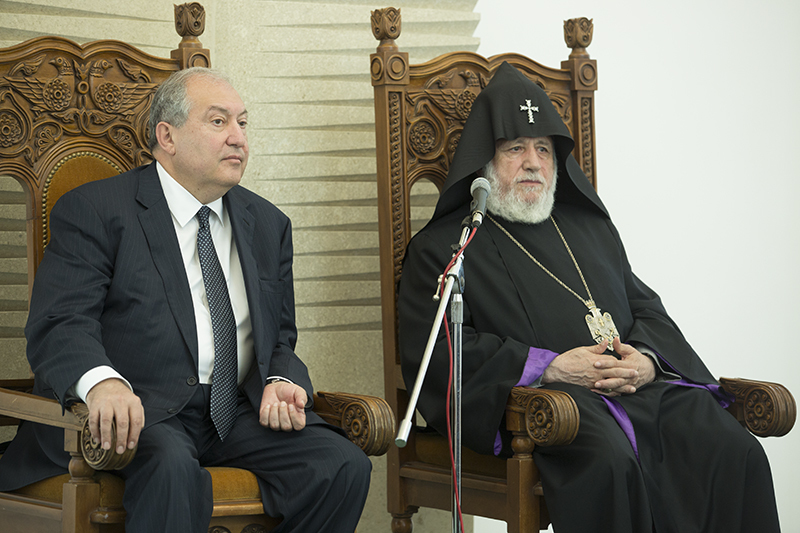 Armen Sarkissian assessed the meeting in Holy Etchmiadzin as an opportunity for a dialogue and took with readiness questions raised by the participants of the meeting.